For those of you who haven't noticed, I'm a very visual person. And a sucker for detail. As in, if I can't SEE it in my own head, I can't WRITE it without worrying I'll contradict myself somehow. Which is usually how I spend hours and hours researching things that will never make it into anything I write. Ergo, when I decided spur-of-the-moment that Iohannes and Rodney need new quarters in the AJ 'Verse, I had to find an ACTUAL apartment floor plan to work from, and get some visuals of how I thought it might look for myself. I thought I'd share them here. Might as well, I figure. 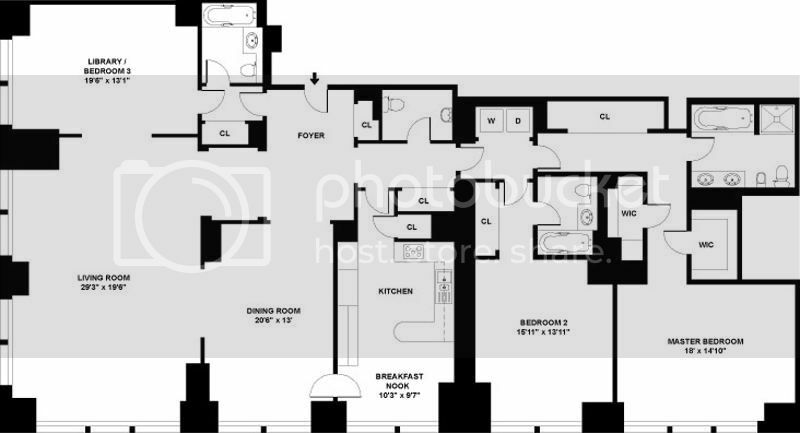 This is the floor plan for apartment 37B of Trump World Tower in NYC (Trump reality always has the best apartment plans, I've discovered in my writings). 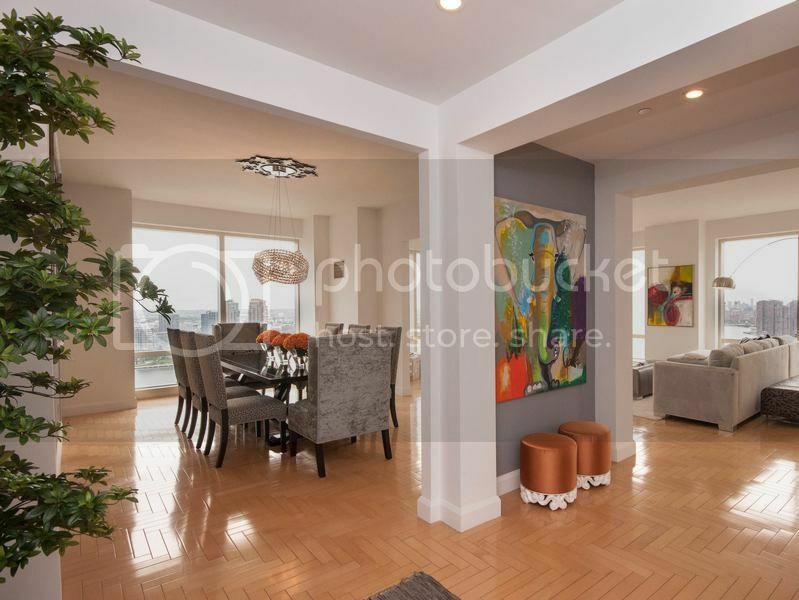 It's 2835 square feet, 2 bedrooms, 3.5 baths, and as expensive as anything, but I can see Atlantis having suites something like this and price isn't exactly an issue there. This is the entryway to the suite from the website tour, and I like it a lot (and, of course, it illustrates the space very well), so my mental image has kept it pretty much like this. The dining room is to the left, the living room is behind the wall and to the right, and just off the right of the living room is the third bedroom, which in my head!canon has been converted into John's office space, which you can see below. 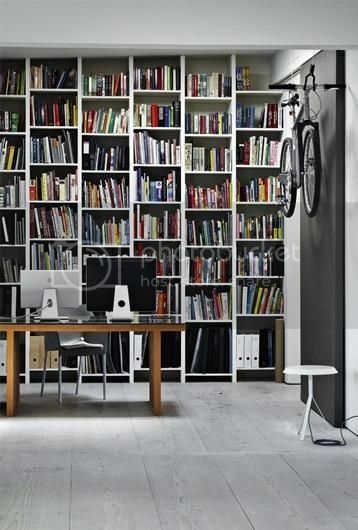 Obviously there wouldn't be a bike on the wall there, but I can see it as the same mixture of minimalist furniture/design and clutter of books and do-dads. 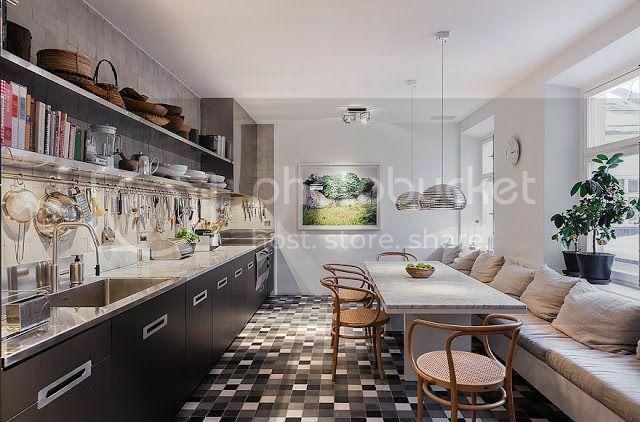 Just to the left of the entryway is the kitchen, which I imagine the boys wouldn't use all that much, but I've found a pic for it nonetheless. Mostly because I'd a lot of time to waste while on the treadmill today and actually found a pic that worked. Again, it's minimalist design and somewhat cluttered function. I don't think much cooking would ever go on there, but there'd definitely be snacks in the fridge. Just down the hall from the kitchen is the guest bedroom, which would probably be used more for storage than anything else, but would be there nonetheless, much like the kitchen. You may be picking up on a theme here with the books, which I see as Iohannes' vice the same way coffee is Rodney's. It was hard to find something even remotely close to what I saw the master bedroom like in my head. Below is the closest I've found. So, yeah, that's what I see the suite I'm giving them in the next installment - "Angelus" - as being sort of like. Mostly because I needed something to do with myself today while I was working out and trying not to go bored out of my mind, but also because I do have to (read: obsessively need) to see how these things look myself. 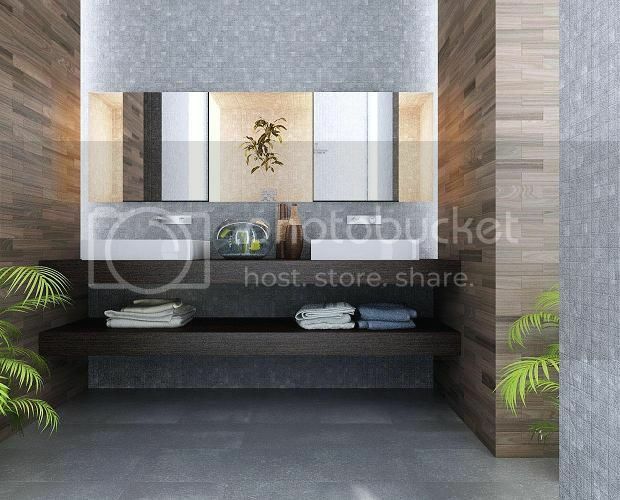 EDIT: More images of the boys' suite can be found here, including some changes to the master bed/bath. That was the goal. I'm glad it works for you too. Yes, well, they rarely post messy pics of rooms on apartment listings... and they've only just/are about to move in. It would probably be clean for all of ten min then. Hee. It's a wonderful space isn't it? In RL, it's like 8 million dollars to buy it, but I figure that's not really an issue on Atlantis.